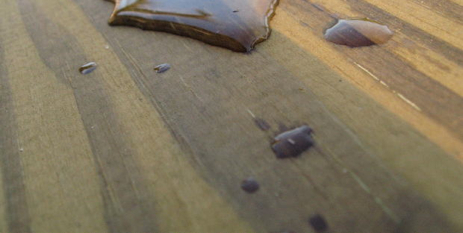 wood finish that provides protection for wood that is too wet or green to coat. the wood to dry more slowly and evenly which reduces checking and cracking associated with wood drying out too quickly. Deck Precoat Formula works on both regular wood decks and pressure treated decks. Once seasoned, the Deck Precoat Formula is easily cleaned and recoated with the Deck & Fence Formula. Excellent Penetration: Deck Precoat Formula allows for excellent penetration and adhesion to unseasoned wood. 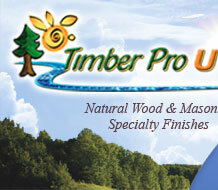 Excellent UV Protection: Deck Precoat Formula protects the wood from the suns UV rays while it is seasoning. the wood is seasoned with the Deck & Fence Formula. odour making ideal for interior application. Easy To Apply: Deck Precoat Formula can be easily applied by spray, brush, or paint pad. Low VOC Formula: The low VOC formula of Deck Precoat Formula is better for the environment.